Concentrating on the southeastern Wisconsin suburban industrial market, Bill has over 15 years of experience in the industrial real estate industry. He has successfully completed over 400 transactions in the commercial brokerage totaling over 8 million square feet. These transactions are comprised of industrial sales, leases, land brokerage, and various investment assignments. Bill employs a strenuous and structured marketing model to assure absolute exposure for his clients’ listing assignments. Bill has coordinated and achieved leasing goals for a number of high profile institutional investors, developers and private owners in the metropolitan area. These projects have ranged from stand-alone single tenant buildings to 300,000+ sq. ft. speculative developments. In addition, Mr. Langhoff conducts Tenant Representation Services on behalf of numerous industrial tenants in the Wisconsin market. 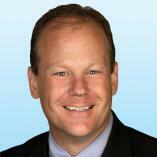 In 2001, Bill was pinned with his Certified Commercial Investment Member (CCIM) designation. CCIMs are globally recognized as the experts in the field of commercial investment real estate. In 2009, Bill earned his Society of Office and Industrial Realtors designation. SIORs are globally recognized as the most capable and experienced brokerage practitioners in any market. SIOR designees can hold the following specialty designations: industrial, office, sales manager, executive manager, or advisory service.